Here in the Midwest, where we have been blessed by a very mild winter, many of you are already mowing your lawns, trimming and pruning trees and shrubs; in general, thinking of about anything you can to spend some time outdoors in this great weather. But before you fire up that lawn mower, garden tractor, chainsaw, or leaf blower, make sure you know about the fuel you may have been storing all winter long, or are getting ready to replace this spring. Fuel is one of the most important things that you can use in an emergency. Whether it powers a car, generator, or stove; you’ll need to make sure that your fuel is ready for when you need it. Handle all fuels with care. Remember that all of these could light at a moment’s notice. We’ve collected a few tips on how to properly store different types of fuels, where you should store them, and how long they can store. When storing fuel, or other fire-starting material, you’ll want to make sure to put them in a different colored container. Most of the time, liquid fuels are stored in red containers. At a minimum, containers should be obviously labeled. Make sure that containers are sturdy, reliable and have a good seal on them. You want to make sure that the fuel won’t leak. You should also consider a container that isn’t clear or translucent. The American Petroleum Institute recommends that you only store gasoline for up to two years. This recommendation does not include gasoline that has been treated with a stabilizer. There are many types of stabilizers on the shelf that can get your gasoline to store for a few years. While I’ve used gasoline that has been stored for years on my lawn mower, using “stale” gasoline that has been stored for an long time can have some diverse effects on your motor. The recommendation for 1-2 years of shelf-life would provide optimal gasoline. Surprisingly, diesel doesn’t have a very long shelf-life. It can only last for 6-12 months. The problem with storing diesel is that it begins to oxidize as soon as it leaves the refinery. Sediments begin to form that would clog the motor. This reaction can be slowed by keeping the fuel cooler and by adding stabilizers. The condensation from the gasoline can also form algae. Some people who store diesel for a long time (the Navy, gas companies) use methods to stabilize their supply. These methods can be pretty expensive though. Kerosene is one of the easiest fuels to store, and is more versatile than most people think. It does not evaporate as readily as gasoline and will remain stable in storage with no special treatment. Kerosene has a shelf-life of about three months. Storing kerosene for longer than that can result in bacteria and mold forming in the container. When you store the kerosene, be sure to label the container properly. You want to make sure that it doesn’t mix with gasoline or another type of fuel. You should store your kerosene in a different color container than gas to ensure that they are not mistakenly mixed. Be sure to store the kerosene outdoors but protected from direct sunlight. 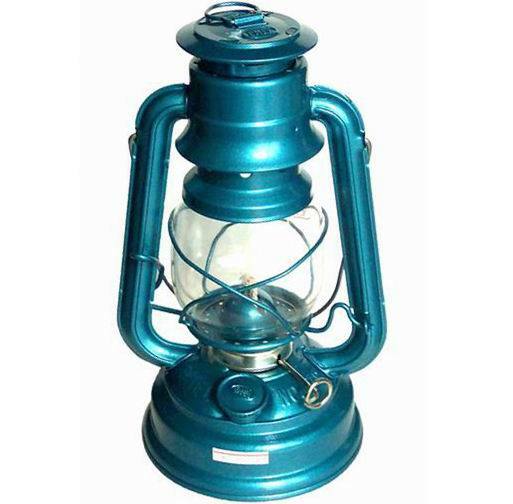 Prolonged sunlight can degrade the kerosene. Butane isn’t as popular of a fuel as gasoline or kerosene but many people use the fuel for lighters or other small fire starters. Many backpacking kits use butane fuel. Butane comes in pressurized containers and the canisters are required, by law, to have instructions on the label regarding storage and usage of the product. Following the instructions will ensure that you keep your butane supply safe. Proper storage is the first element in butane safety. Keep it in a safe place at home that is out of any children’s reach. Many containers can withstand even high temperatures. Even if you live in a climate that is rather warm, your butane should still store well … find a dry and cool place, out of the direct sunlight and away from any other sources of extreme heat. You’ll obviously want to store your propane in a well-ventilated area outdoors. Make sure that your propane tank is stored upright – probably on a concrete slab. Don’t store the propane tank next to anything flammable. Also ensure that it is stored in an area where a large amount of water will not fall on the tank – for example, next to a gutter or in the open under the rainfall. Never store the propane in a house or garage. Click here to read Propane 101’s article about proper propane safety. Charcoal is a great option for cooking fuel. They might get your hands a little bit messier but that’s not always a bad thing. The good thing is that you can store this dry fuel inside your home! However, never cook with charcoal indoors! 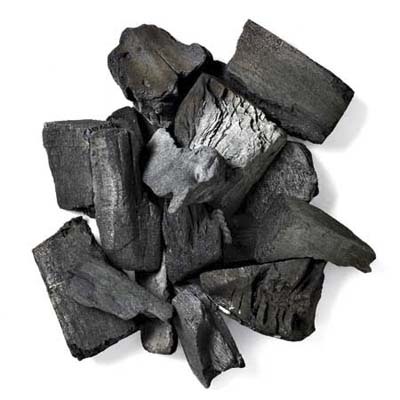 You can store charcoal in a dry location – like a bin or metal canister. You can also make a waterproof container by placing the charcoal in a bucket and use a gamma lid to seal the top. This should keep the briquets by not letting moisture into the bucket! According to the Fireplace Supplier Register, coal can be stored in damp places without harming it. It can also be retained in areas that have little or no protection from the rain and snow. If you choose, so you don’t have to handle wet coal, you can cover it outside with tarps to keep it dry. Avoid the temptation to keep a lot of firewood in your home. You can obviously carry in a few logs, but the best location to store firewood is outdoors. It’s recommended that you keep your firewood at least 30 feet away from your house – not leaning against the house, next to the door. Ideally, wood should be kept off the ground too. You can make a simple firewood holder out of two-by-fours in order to stack the wood properly. Be sure to stack the larger pieces of wood on the bottom of the pile. This will help the pile from leaning or falling over. Here is an article on how to build a firewood caddy. You’ll want to use a cover to protect the wood from getting wet. You can purchase a specific log rack cover or a simple tarp will do. Make sure that the cover is secured so it doesn’t blow away in the wind. You may notice that there are some bugs in your firewood. Do not spray your wood is insecticide! This can seep into the wood and fume in your house when you burn the log. Instead, the best thing to do is dry out the wood as quickly as possible. This will encourage most of the bugs to leave the wood. There are a variety of matches out there. Avoid placing cheap matchbooks in your kits and emergency supplies. They can absorb moisture a lot easier. Instead, focus on matches that are waterproof and have longer stems. This will allow you to light things from a safe distance and make sure that your matches are safe from moisture. If you don’t have waterproof matches, you can place your matches in a waterproof container. Make sure that the container is a thick plastic and isn’t stored in direct sunlight.